Many condition problems with paintings can leave an artifact unexhibitable. Tears, discolored varnish, and dirt layers can distract from the documentary and/ or aesthetic value of a piece. Repairs to a painting’s surface are best left to an appropriately trained and credentialed conservator. At times, fairly simple treatments such as spit cleaning or applying a new varnish layer can dramatically improve the painting’s appearance and not be too costly. Tear repair and filling in losses, however, are more expensive processes. Most collection managers must focus their efforts on preventative conservation; proper storage and handling procedures can safeguard the artifact from further deterioration. While non-conservators should not work on a painting’s surface in most cases, there are several steps we can take to protect the overall artifact. 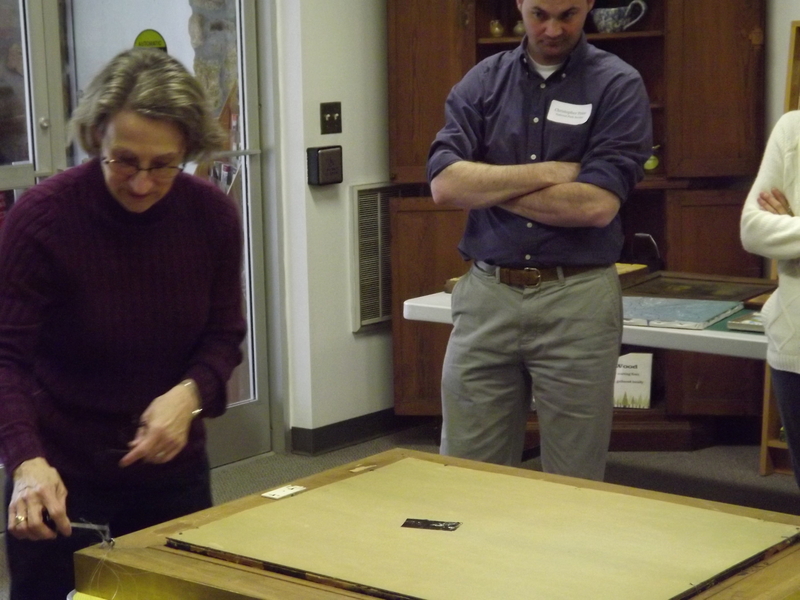 During C2C’s “Preventative Conservation for Visual Arts” workshop, Conservator Perry Hurt trained participants in brushing and vacuuming the back of the canvas, installing backing boards, and replacing hanging hardware. Read one participant’s account of the workshop and some of the lessons she absorbed here. As Hurt and Conservator Janet Hessling discussed with our group, a framed work’s backside is not only an important area to protect, but it can also be revealing. 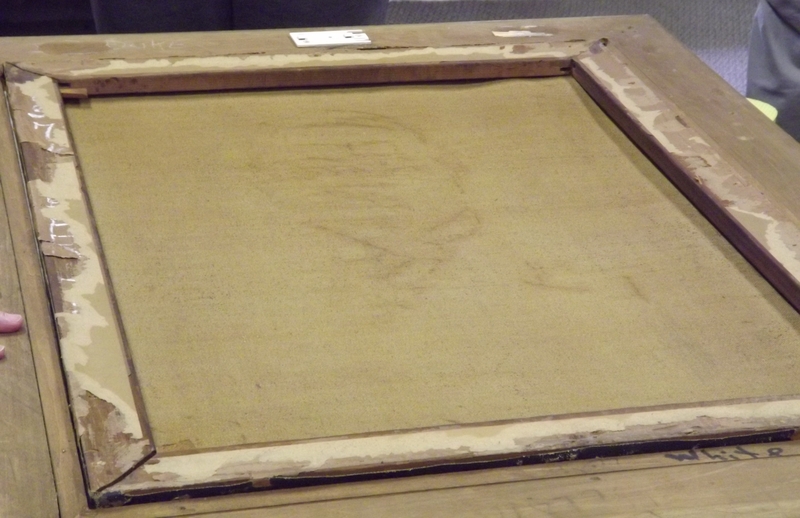 The back of the frame, and even the canvas, is often a site where artists, restorers, and owners have left documentation or other clues to the piece’s provenance. 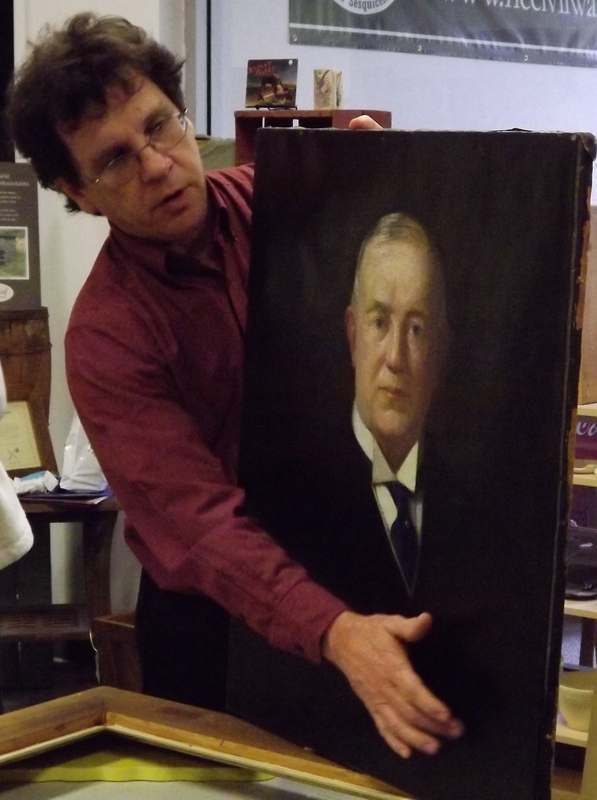 In the case of the James “Buck” Duke portrait in the collection of the Duke Homestead Historic Site, the verso offered information about the painting’s condition. 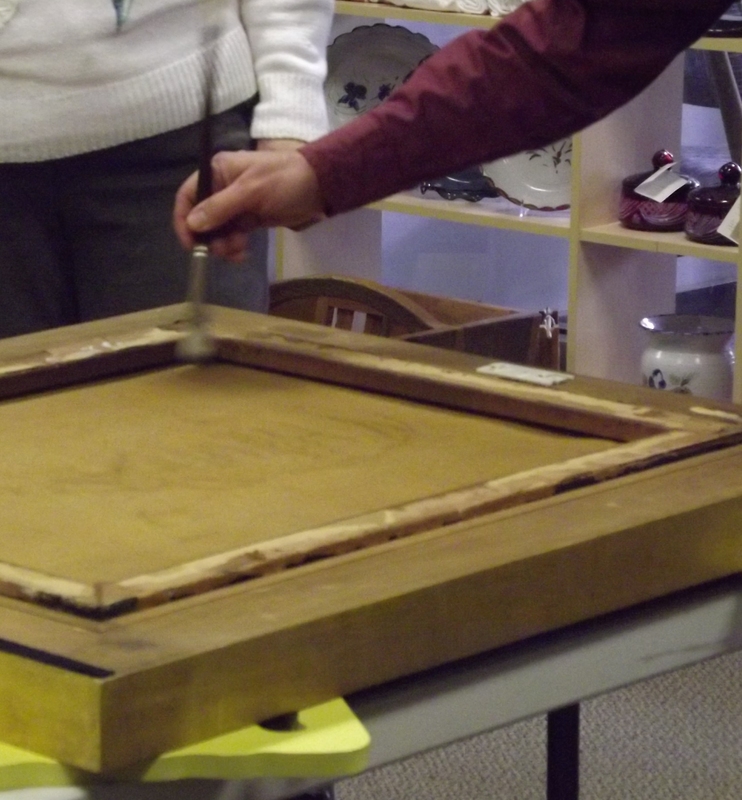 Does your cultural heritage collection include paintings or other framed works? If you’d like to learn more from Hurt’s expertise and missed a chance to attend the workshop during Preservation Week 2012, don’t despair. C2C, along with Hurt, will be offering the workshop again in Asheville this fall.